I am sure you do agree because most bloggers do struggle to drive traffic to their blog leave aside targeted traffic. The problem only grows bigger if you have a new blog which is less likely to get organic traffic from search engines. To drive traffic, most experts will suggest you to do guest posting, blog commenting, social media promotions etc. But do you really think these are great ways of traffic unlimited traffic to your blog? I would be wrong if I ask you not to follow these methods as they do add value. However, these methods are not as easy to follow as they seem. If you have a relatively new blog or have very few contacts within the blogging fraternity, there are very slim chances that any high authority blog owner would allow you to do guest posting. Blog commenting can get you very little traffic. It is not even advisable for Using Blog Commenting As Link Building Strategy as using it for rank manipulation increases your chances of Google’s penalty. Posting your blog links at social media websites like Facebook and Twitter may fetch you some good results, Tweet's half-life is 1 billion times shorter than Carbon-14’s. Facebook is better but not good enough. A Tweet's half-life is 1 billion times shorter than that of Carbon-14. So within a day, your post will get buried among thousands of other posts. To get regular traffic, you will have to keep posting regularly. So how on earth can you get highly targeted traffic to your blog regularly? The title says it all: Quora!!! For those who do not know, Quora is a Question & Answer platform that went online in 2009. However, it only started getting popular recently. With over 3 Million visits per day, Quora is currently one of the most popular websites on the world wide web. It gets most of its traffic, around 37% from India. So if your blog relies on Indian traffic, it can be a boon for you. Of course, there is a considerable amount of traffic from the US too. So, if you know how to use Quora effectively, you can drive a huge amount of traffic to your website. The best thing about traffic from Quora is, it is highly targeted traffic and will lead to a very low bounce rate. Add to it, unlike social media, you can get traffic regularly once you post an answer at Quora with a link to your blog. Currently, Quora forms 30% of the Total traffic to my Blog. So the question is how to use Quora effectively to drive traffic to your blog? This is precisely what I am going to explain you in this article. So let’s move on and see what we are going to learn in this article. ​Below are the steps that you need to follow for driving traffic from Quora to your blog. After signing up at Quora, the first thing you need to do is set up your profile. A lot of bloggers skip this step, but this is indeed very important to improve your credibility. A Bio at Quora is nothing but a headline of your profile. You should select a Bio which best describes the topics you are going to cover. You should be clear about what you are good at. If you are going to mainly write about content marketing, use a Bio “X Years Experience in Content Marketing” or “I Write About Content Marketing At My Blog www.xyz.com”. Avoid writing vague Bio like “Been there, Done that” which is very commonly seen on Quora. Quora also lets you write a brief description about yourself. This is the place where you can include a link to your blog. I also include links to my blog’s social media profiles and contact page. Make sure to your social media accounts to Quora. This will help your contacts on social media to find you on Quora thereby increasing your number of followers. Also, vice versa, it will help you get more followers on your social media accounts. You must select the right topics in the “Knows About” section under the Answer Tab of Quora homepage. Based on the topics you select in this section, Quora will compile a list of questions for you to answer. Apart from compiling a list of questions for you to answer, Quora also compiles a list of topics for you to read based on your interest. This allows you to get access to more questions. You can edit these topics in the feed section of your Quora home page. You can choose entirely different topics for your Feed Section or may add the same topics as in Knows About section. Now that your profile is properly set up, you can now concentrate on driving maximum traffic to your Blog. Almost all the bloggers make one mistake. They straightaway look out for questions on Quora and answer it with a link to any random article at their blog, which they find to be relevant to the question. However, if you are serious about converting your Quora visitors to regular readers, the first thing you must do is to make a list of your best articles that you feel are really worth linking to. You certainly do not want your visitors to read a non-so-well-written article and leave your blog to never to come back again. By linking to your best Article, you ensure that your visitors like your content and may even consider subscribing to your newsletter. Also, as far as possible, try to link to an article which has a lot of Internal Linking. Once you have finalized the article you want to link to, the next step is to find relevant questions for answering. There are many ways you can find questions to answer at Quora. Let us go through each type. You can use Quora Search Bar to find a right question. However, this method will also give you outdated questions which no one is interested in. I personally use this feature very rarely. A recently posted, followed or re-asked question is likely to get a lot of views. Such questions are displayed in “Questions For You” of your Quora dashboard. Quora has an “Ask To Answer” feature wherein a questioner can ask a question to 15 people. When someone asks you a question, it will be shown in “Asked to Answer” section just below Questions for You section. Initially, you will not find any questions in this section. But as your Quora Reputation increases, more questions will show up in this section. At times, these questions may be totally out of context, yet, these are one of the best types of questions to answer. This is mainly because, when you are answering a question asked by someone, it gives more authority to your answer and is less likely to be regarded as spam by Quora moderation team. Since the content, in this section is meant for your reading, it generally shows very popular content. Answers in your feed section are likely to get 10 times more views than other sections. As you can see in the screenshot above, just one particular answer got whopping 42.4k views. However, with popularity, comes competition. You are directly competing with the best answers and unless your answer is really helpful, your answer may not even get noticed. So you now know how to find questions to answer. However, you certainly would not like to spend your time and energy answering questions which will receive only a few views and hence little or no traffic to your Blog. So let us find out how to shortlist questions with a potential to drive traffic from the rest. Quora enables its readers to follow a question they are seeking answers to. Its function is similar to following a status update on Facebook. The thumb rule says, more the number of followers to a question, more popular the question is and so will draw a lot of visitors to it. In addition, whenever you answer such questions, almost everyone following the question will receive a notification with a link to your answer. Check the question What can I learn/know right now in 10 minutes that will be useful for the rest of my life? As shown below, it has over 35,417 followers. So whenever you publish an answer to this question, around 35,000 people will be notified about your answer. The number of views a question gets is another thing you must check while answering a question. There are many questions which have very few followers, yet they get a good number of views. While it may be exciting to answer the most popular questions, you must also check the number of answers already posted along with the quality of the top-ranked answers. This is because, at Quora, some popular questions can get too many answers. So if the other answers are too good and have received a lot of views, unless your answer is outstanding, it may be lost among the hundreds of other answers. For the trending answers, Quora shows additional information about the number of views the question has received in the past day. This information is shown both in your “Questions For You” section as well as when you see an individual question. At Quora, longer answers which cover most topics are usually ranked higher. Having said that, from my experience I can say that people avoid reading very long answers especially if they are not formatted well and written in a single paragraph. So do not try to elongate your answers just because Quora ranks it higher. Try to balance preciseness and length of the answer. Answers with bulleted points have given me more views and upvotes than answers with longer paragraphs. Bulleted answers can help your reader quickly scan through various points of your answer. Longer paragraphs may get boring when your reader has lots of possible answers to read. Images, as most bloggers know, can draw the attention of users. Appropriate use of Images can get you more views than the ones without any image. You must make sure, that your answer is helpful to the questioner and other readers. If you do not address the questioner’s concern, they will not care to click on your blog’s link. Moreover, your question may be downvoted. Too many downvotes will make Quora automatically hide your answer from others. Alway be honest with your readers. Honest answers can get you more upvotes. It also helps you win the trust of your reader and can significantly improve the CTR to your blog links. Quora frowns upon people who answer questions to promote their blog, products or services. So it’s very important that you put your links without using a sales pitch. Try to write a helpful answer and include a link to your blog at the end saying “If you liked my answer, you may also find my XYZ article to be useful” or ” For more detailed and elaborate insights you can check XYZ article at my blog”. You can also include links at the start or middle of the answer but do so in a way that your reader feels you are trying to help them by providing the link rather than promoting your blog to them. Including links to other websites along with your website will make linking look more natural. A lot of people on Quora read only the top few answers for a question. In order to get more views, you must try to move your answer to the top. More the number of views to your answer, more likely it is to be placed at the top. An answer which gets a lot of Upvotes is more likely to rank better than the one which gets lesser upvotes. A lot of people use fake accounts to Upvote their own answer or some people buy Upvotes from websites like Fiverr. Therefore, Quora gives less weightage to Quora profiles which are new or have very few questions as well as answers to their credit. Quora adds a “Most Viewed Writer” badge to the top 10 Writers of each topic based on the number of views their answers get. Since I am the most viewed writer in various Making Money Online categories, as soon as I post an answer in these categories, it gets placed near the top of the list, above several other answers with lots of views and upvotes. Unless the question is very popular, a couple of upvotes take my answer to the very top. So try to answer more questions from a particular category to be the Most Viewed Writer. While my answer gets preference in topics where I am the most viewed writer, in other topics too my answers are usually placed somewhere in the middle and not at the bottom. This is because my answers from various categories have received 142K views and 5,850 upvotes in the past 30 days. So Quora considers my answers to be more useful. To improve the credibility of your profile, you can answer some questions which may not be relevant to your topic, but which you feel can fetch you a good number of views and upvotes. Including links to your blog in every post can send red signals to the Quora Moderation team. Therefore, you must write at least few answers which do not contain any link to your blog or elsewhere. You may answer such questions from any topics you like. Quora can be a fun place too. So explore it. Avoid posting irrelevant links which are totally out of context will make people report your answer as spam. Not only will this collapse your answer, it may even lead to your account getting banned. Don't copy paste the same answer on multiple Quora questions. Quora moderation team may delete all your answers including the original. They may even ban your account for spamming. Do not downvote other people’s genuine answer to make your answer rank higher. If you downvote too many answers, Quora will eventually give lesser importance to your downvotes. Using Quora is one of the best ways to drive targeted traffic to your Blog. It is especially a boon for new bloggers who struggle to get organic traffic to their blog. If used correctly, it can drive regular traffic to your Blog. I still receive traffic from answers I posted 2 months back. Have you been using Quora to get traffic to your Blog? Do share with us the strategies you use. 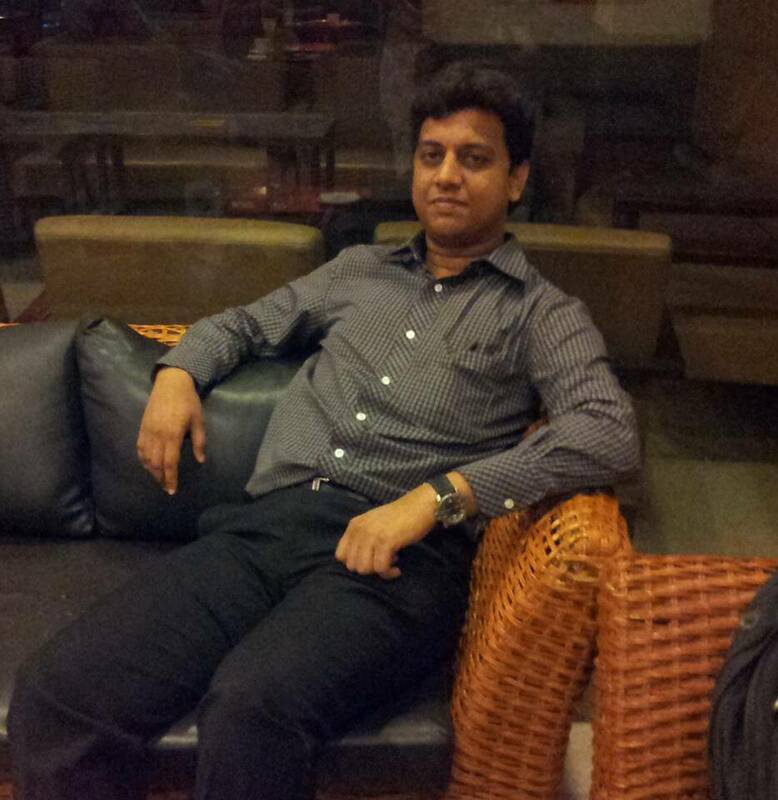 Aquif Shaikh is a Blogger from Baroda. He loves writing, traveling and sharing his knowledge and Ideas with the world. At Blogging Ocean, he writes mostly about blogging tips, content marketing, and SEO. This article is amazing! I just started using Quora, and all this info will be a BIG help! Thank you! You’re welcome, Amy. Hope these tips work out for you as well as they worked for me. I don’t often use my links while writing the answers but it is the best platform to grow your name. Being only stuck to blogging is truly helping me as Quora is filled with so many answers every day to not run out of answers. And that ultimately boosting my authority. I’ll be sniffing through your steps to do some experiments to find out how Quora could help me land the good chunk of traffic. Indeed, Adeel. Quora can be a great platform to build your brand image. It is relatively easier to get followers on Quora. But getting some targeted traffic along with it never hurts, you see. Hope this guide works for you too. Excellent post on traffic generation from Quora.All the mentioned points are just outstanding in the context of Quora. But the portion which appeals most to me is the section which describes #5 Moving your answer to the top. It is because it is not telling the way of quora to rate the answers but at the same time helping to aware some not to do tasks like upvoting of own answers with fake accounts. Thanks a lot for the encouraging feedback. Yes, moving the answer to the top of Quora can be quite a task and without it, more than likely your answer may not get enough exposure to draw traffic to your blog. Future Of SEO in 2019: Is SEO Really Dead?